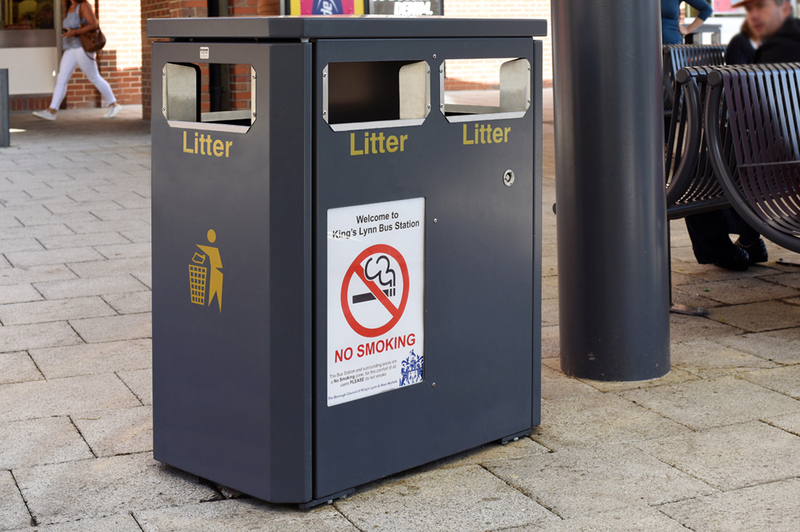 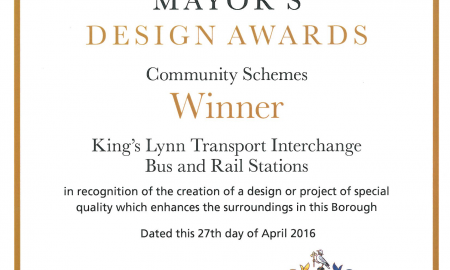 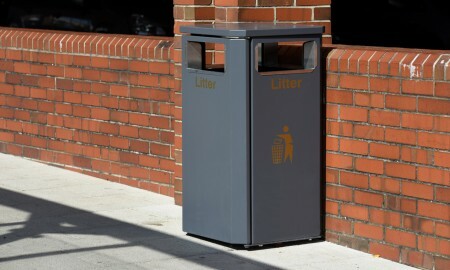 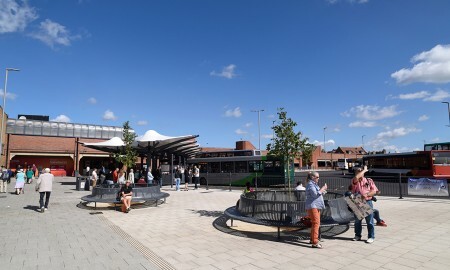 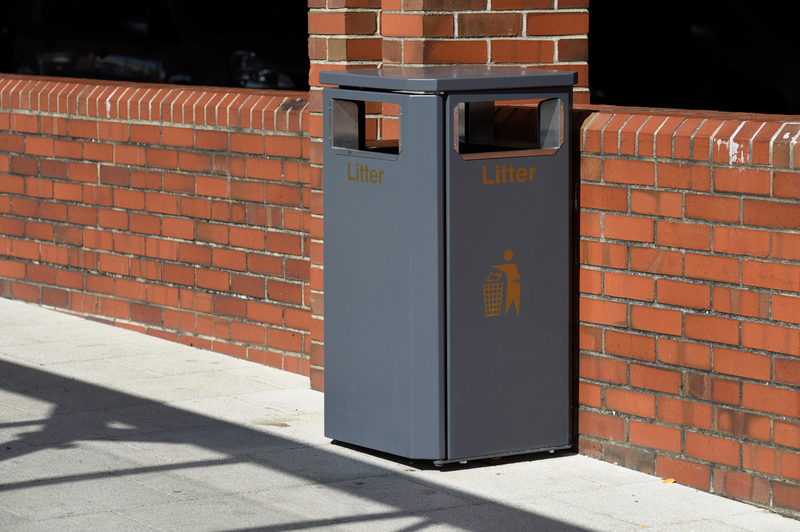 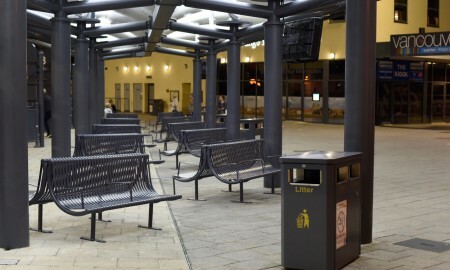 The King’s Lynn Transport Interchange project is a £1.6 million project led by the Borough Council of King’s Lynn & West Norfolk in partnership with Norfolk County Council. 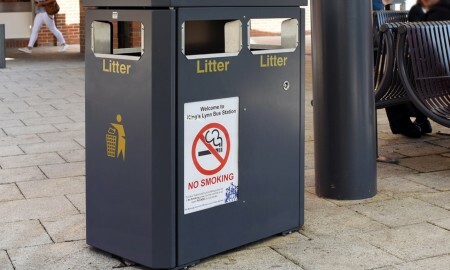 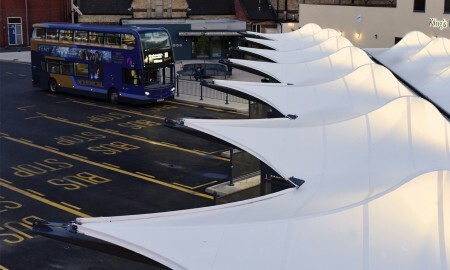 A safer and more sheltered environment for public transport users, which includes creating a smoke-free zone, improved CCTV and wider pavements giving better access and reducing congestion. 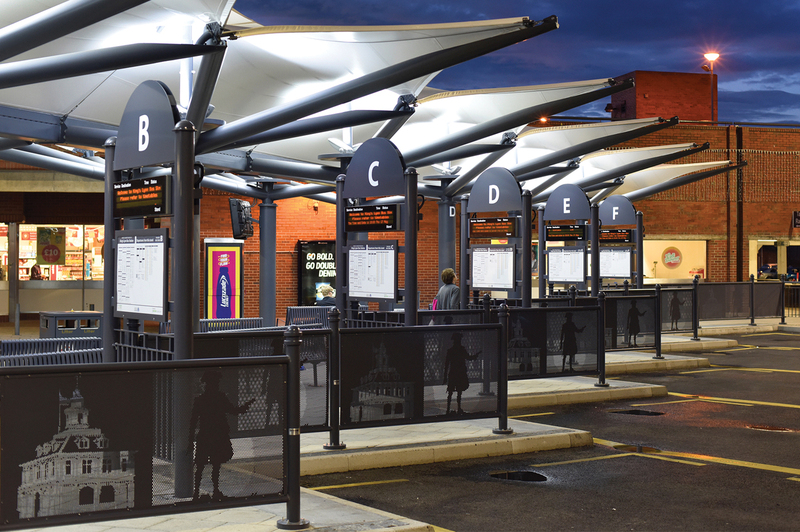 Real-time travel information to help passengers plan their journeys. 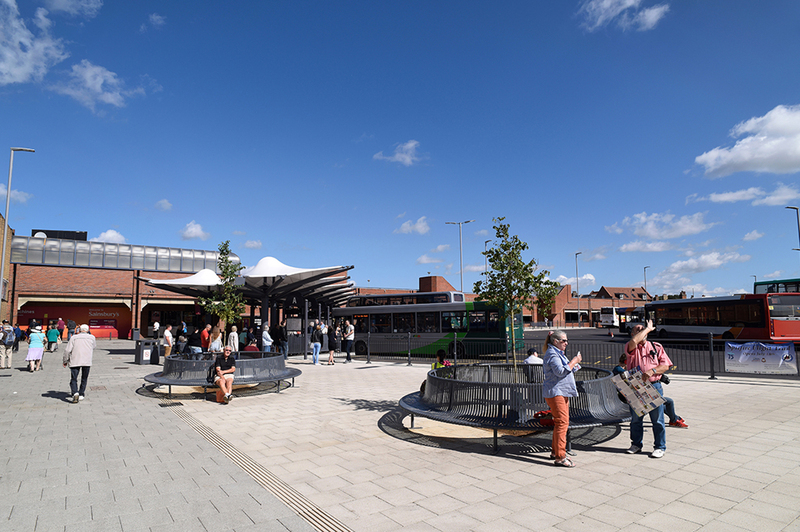 Better information about what’s on in the town centre. 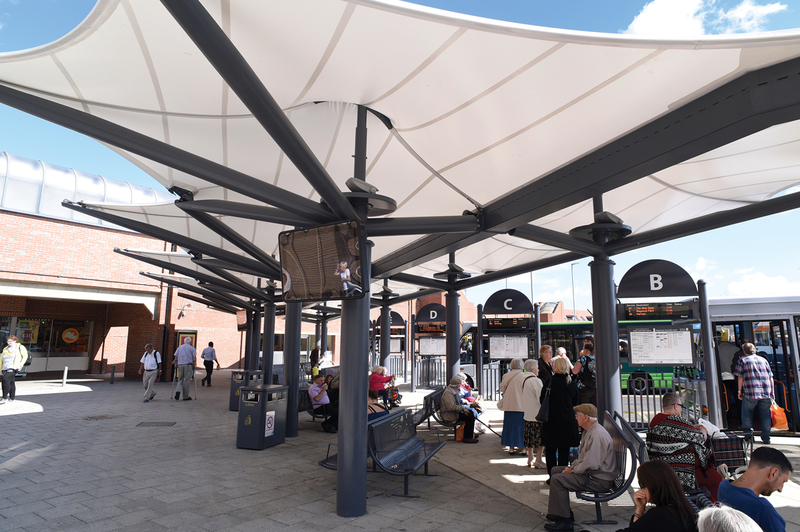 Improved use of the bus station space which could in time lead to service improvements. 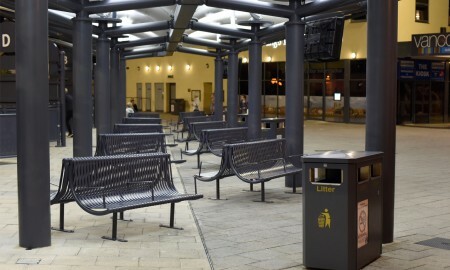 Works will also be done to improve the links between the railway station and the bus station. 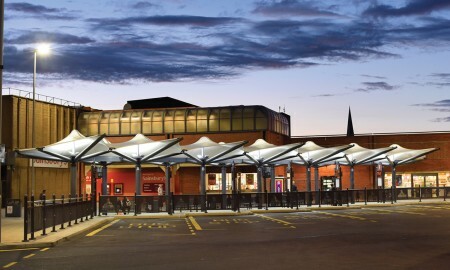 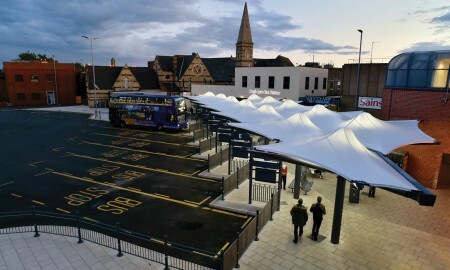 The bus station area was identified as an area for improvement and with section 106 agreements attracting some £500,000 each from Tesco and Sainsbury to help mitigate the impact of out of town developments, the opportunity arose to refurbish the bus station and improve the pedestrian links between the bus and rail station. 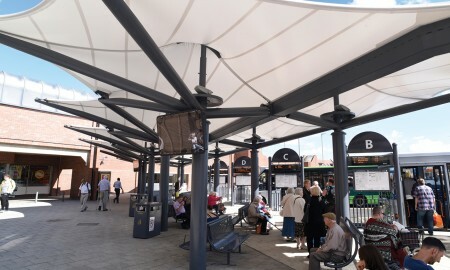 Extensive consultation with users of the area and key stakeholders took place between December 2013 – July 2014 to develop the scheme. 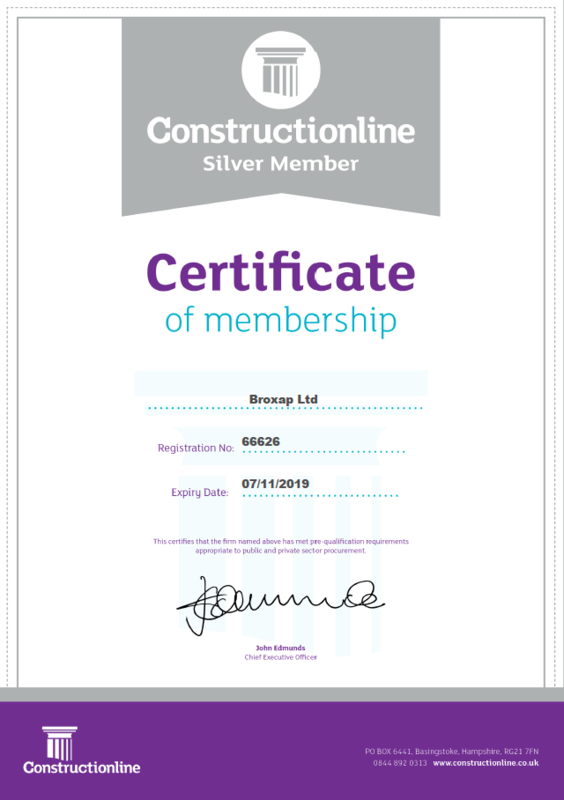 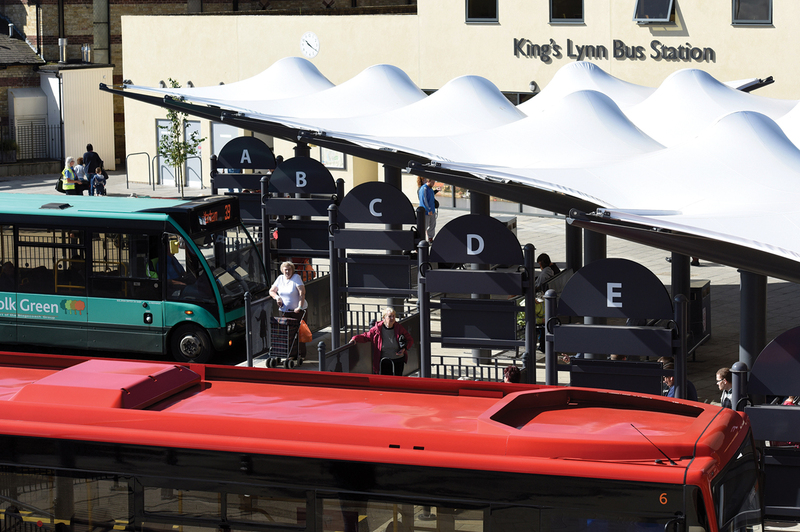 The results of the consultation is available to download on the right of this page and has informed the final scheme which is to be constructed. 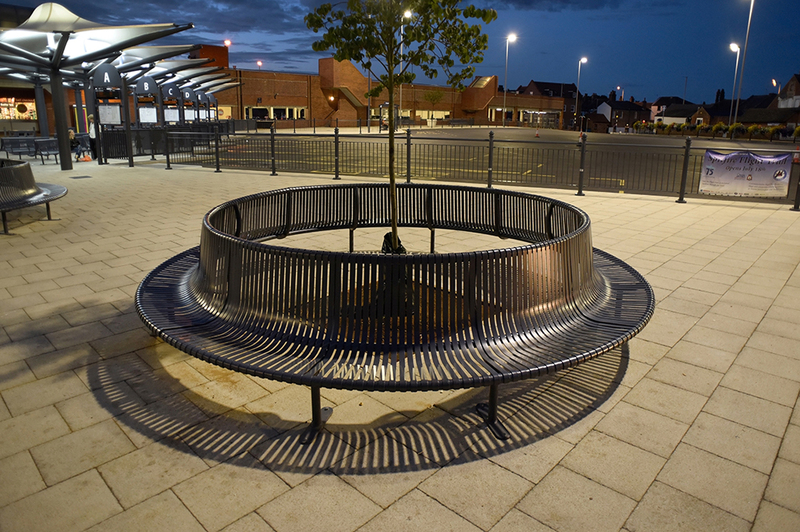 Together with the £1m contribution from Sainsbury’s PLC and Tesco Stores Ltd the borough council and Norfolk County Council have contributed further funding of £700,000 towards the overall project. 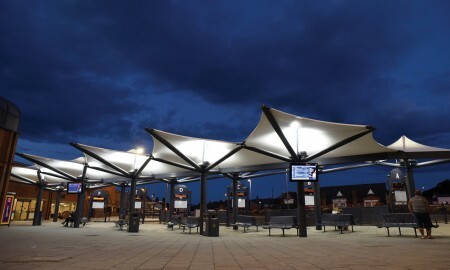 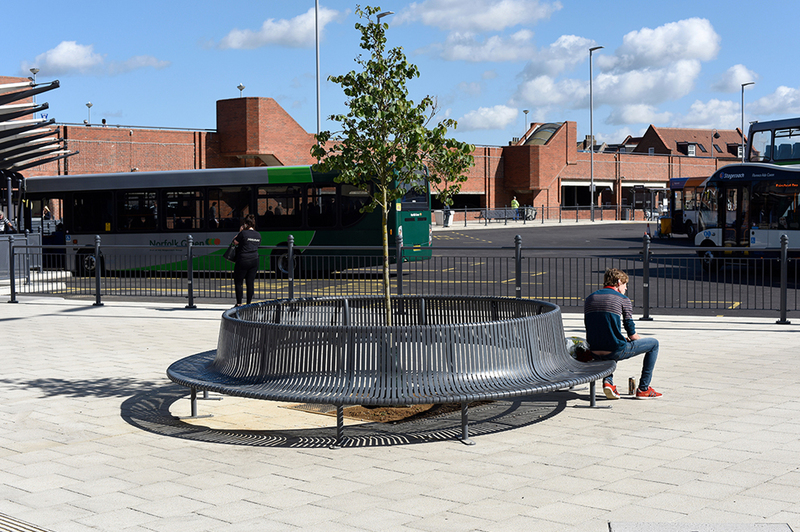 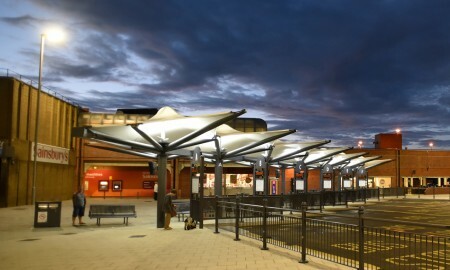 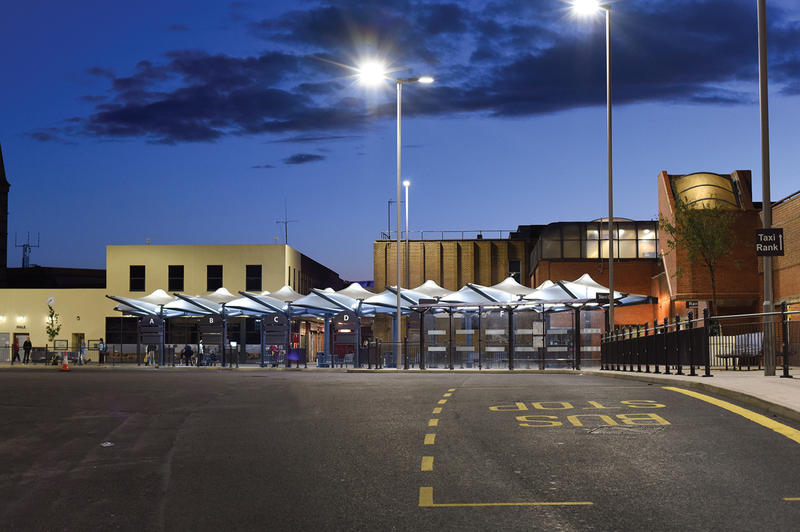 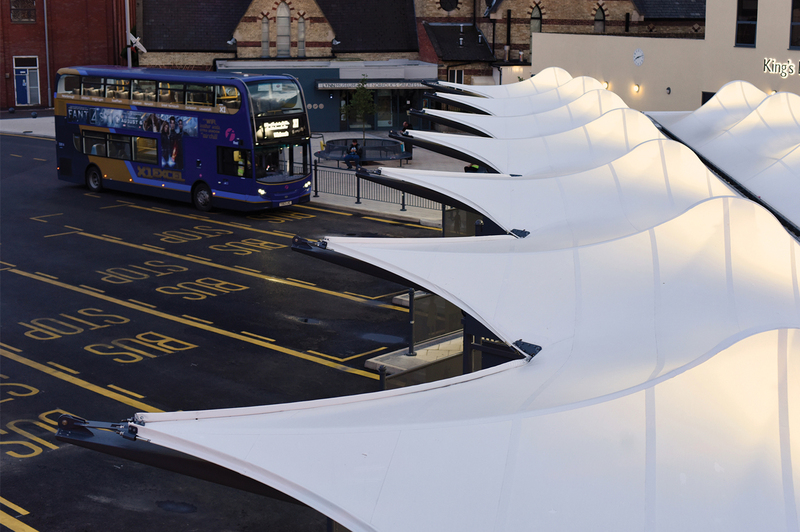 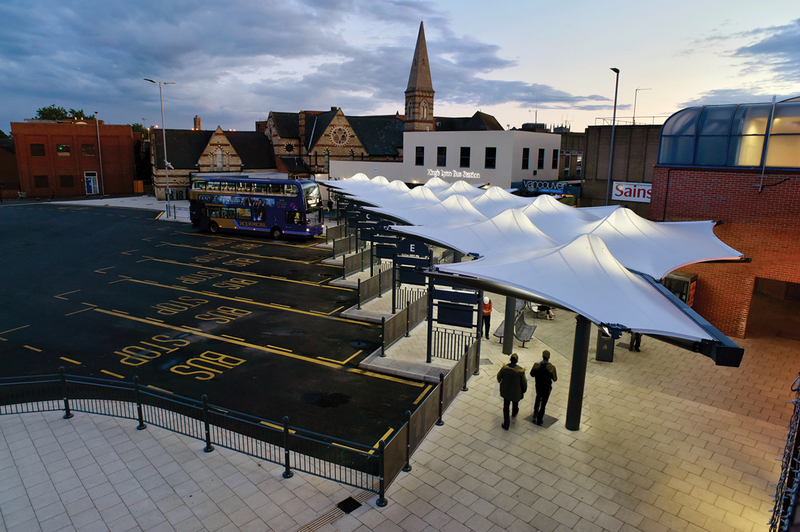 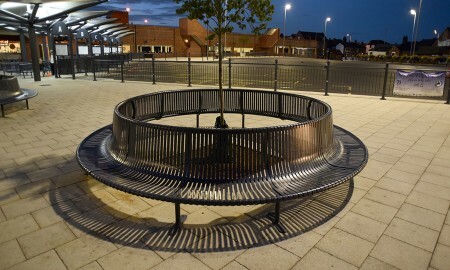 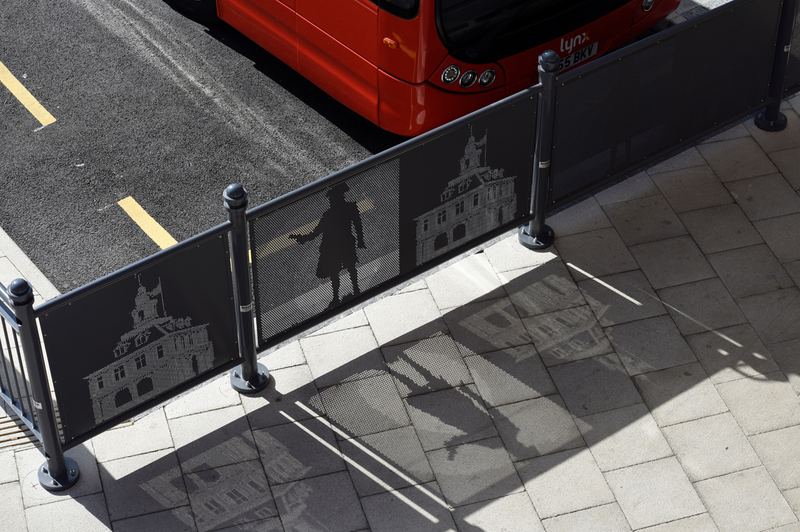 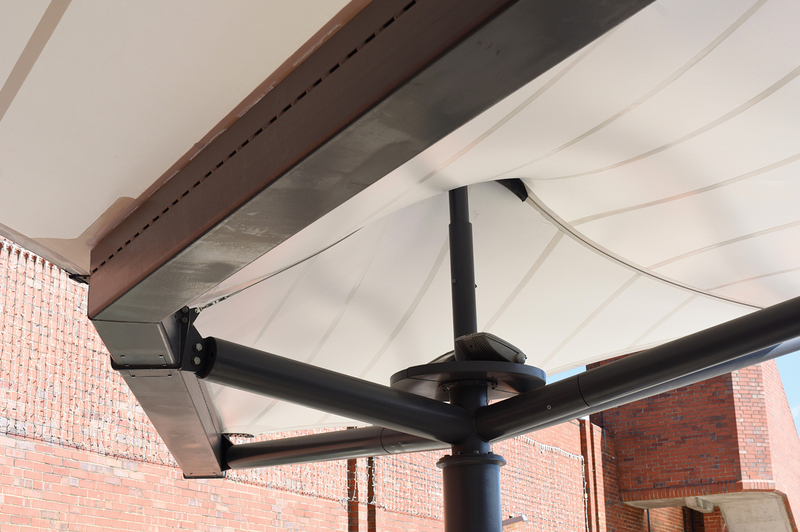 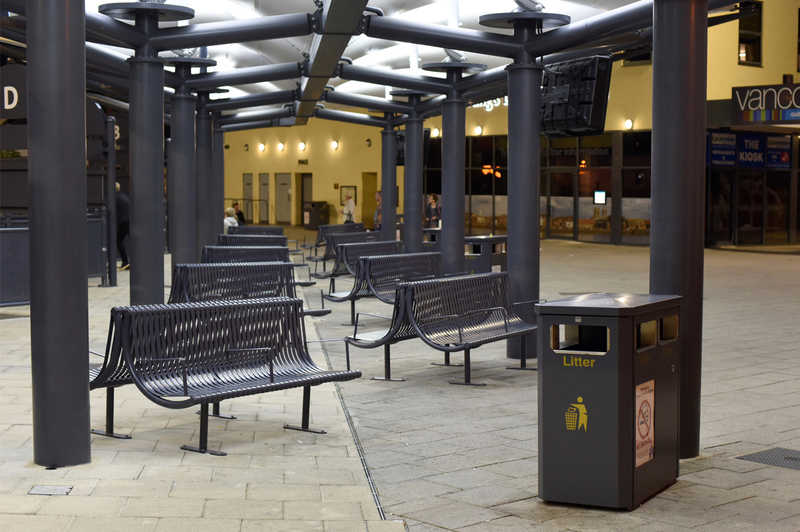 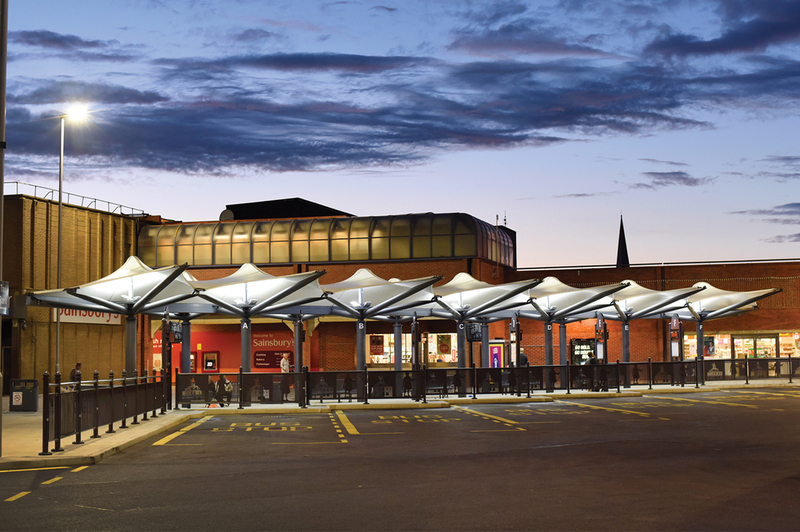 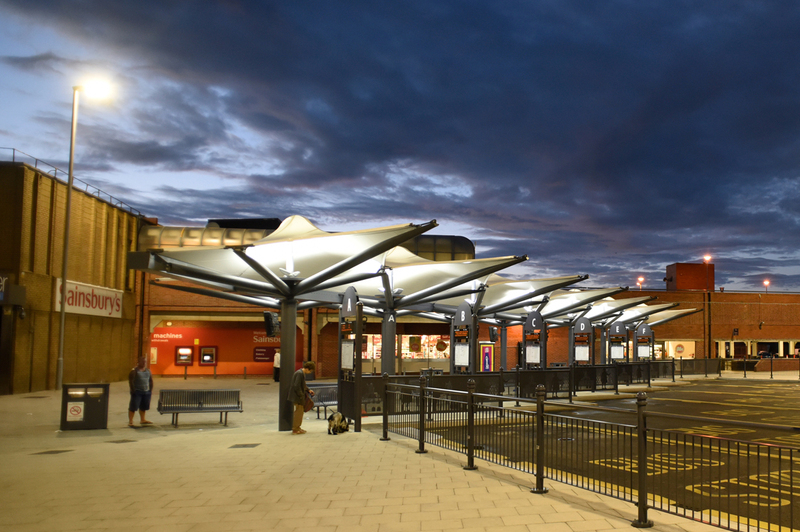 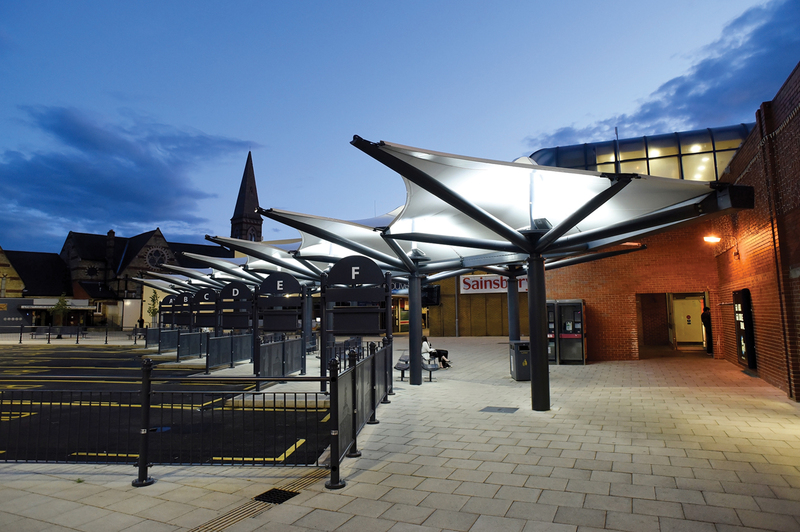 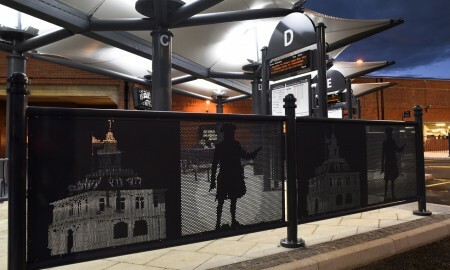 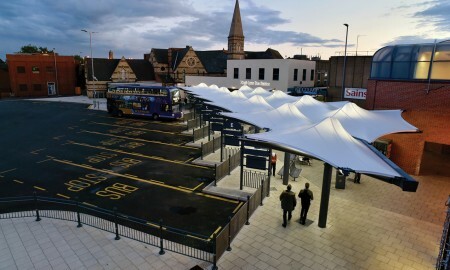 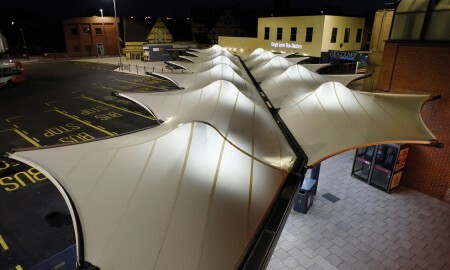 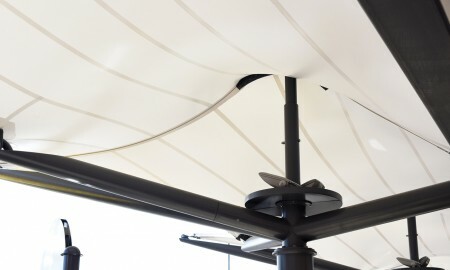 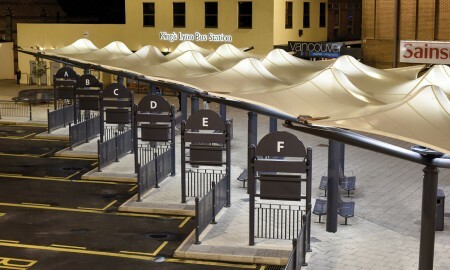 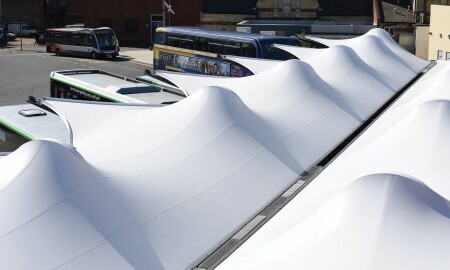 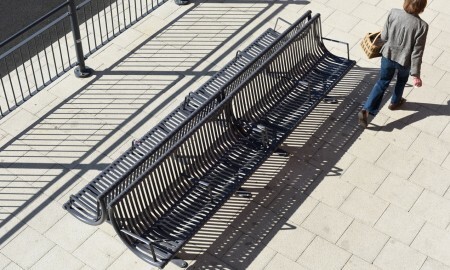 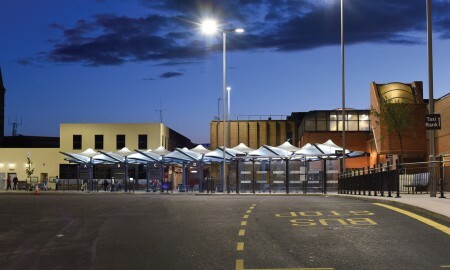 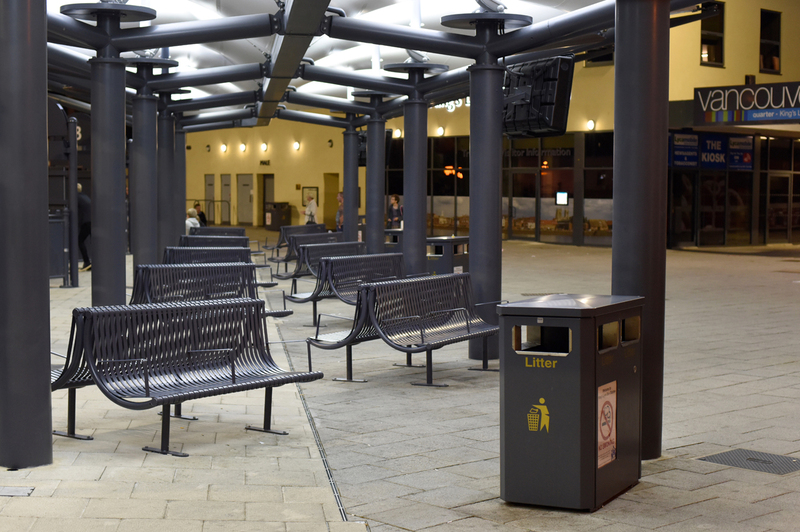 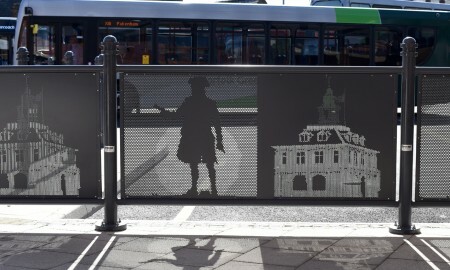 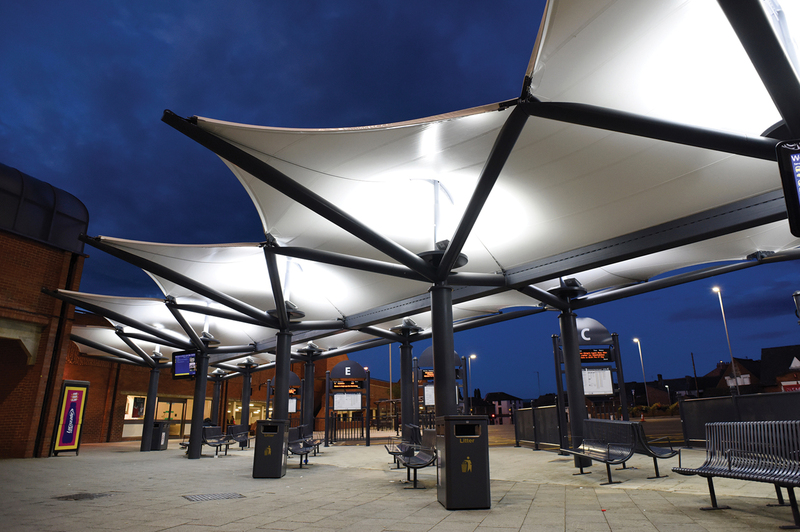 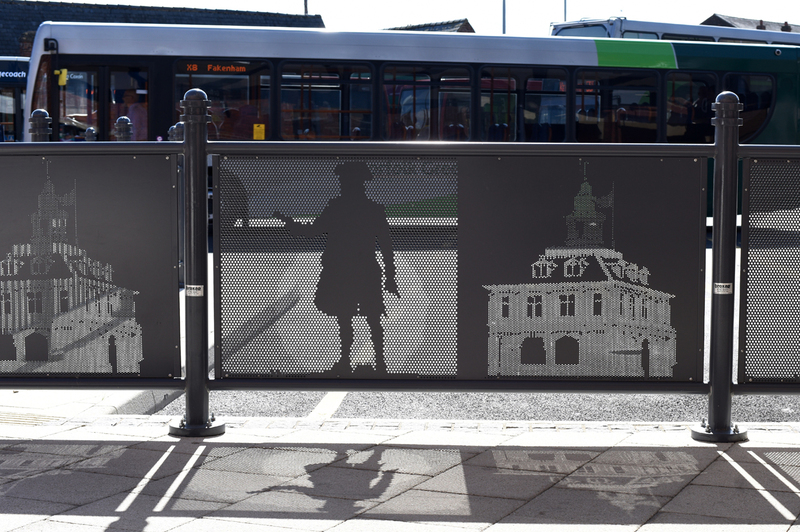 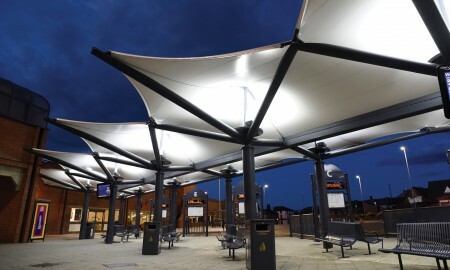 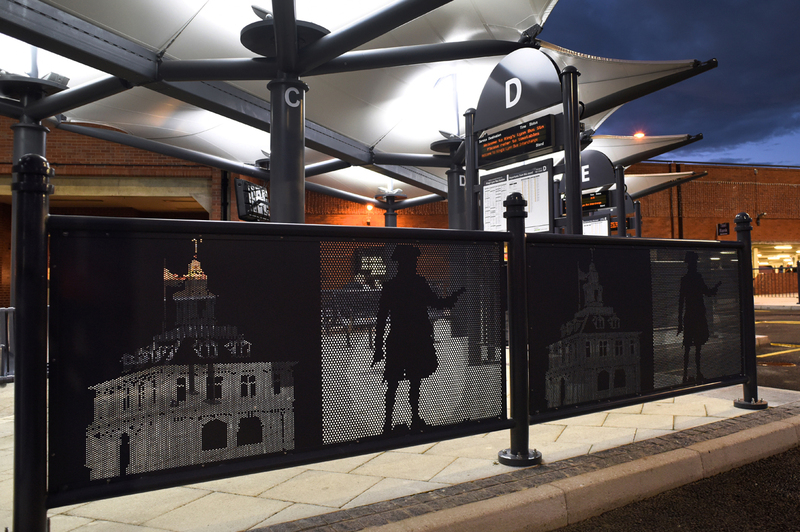 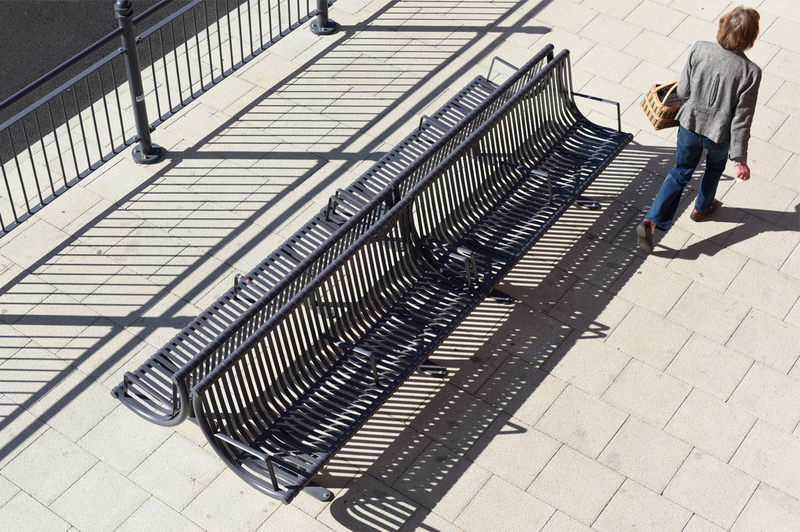 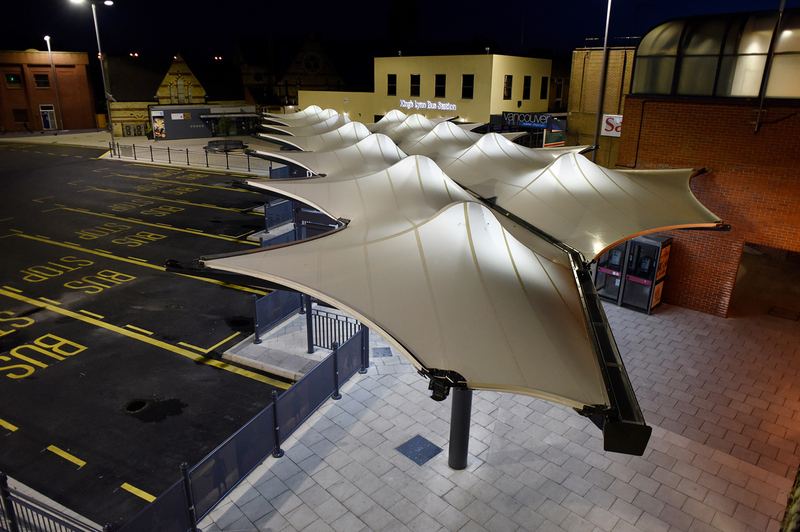 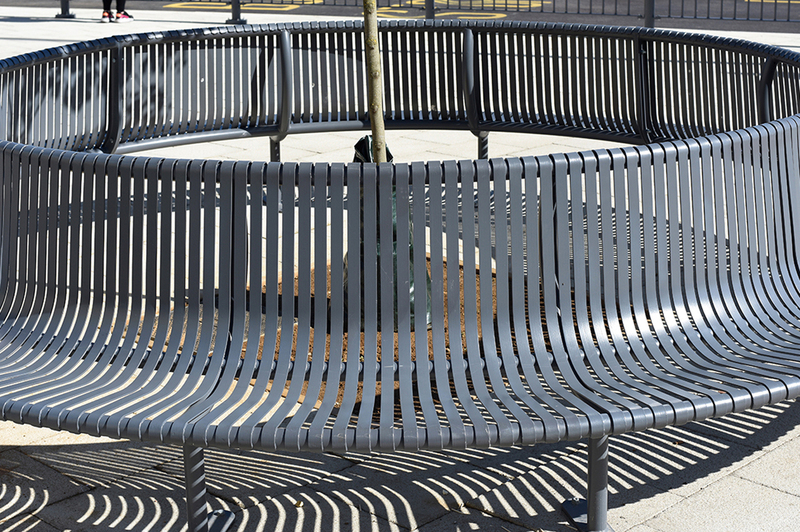 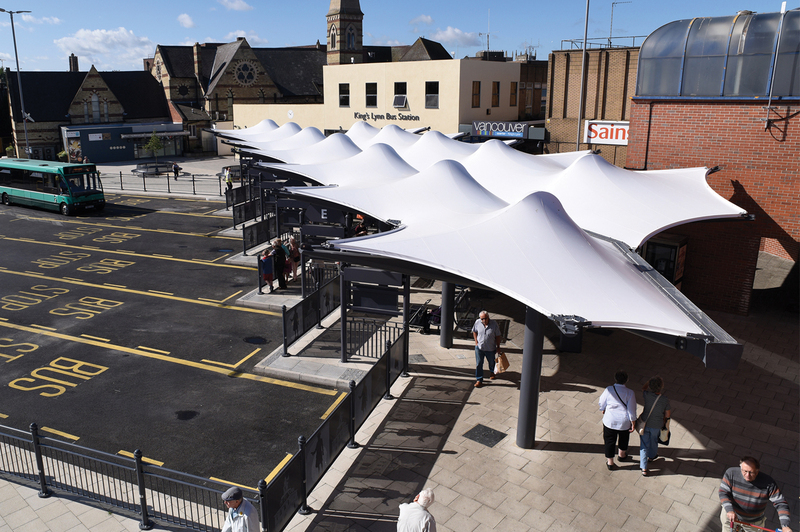 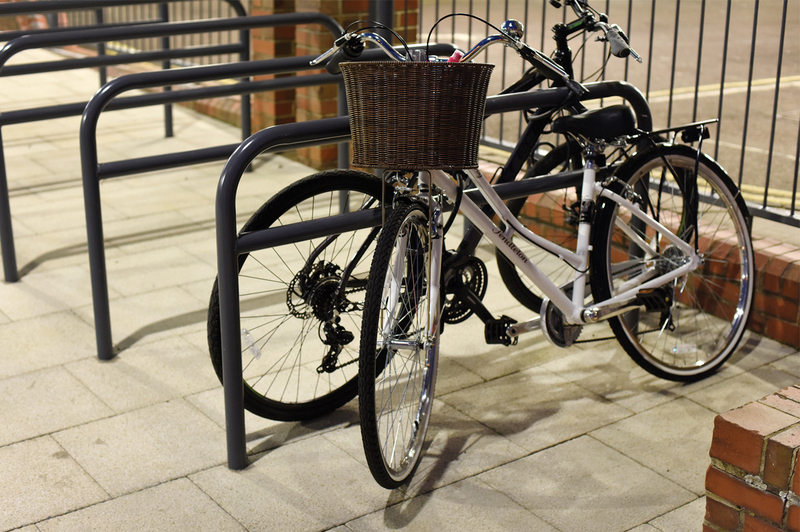 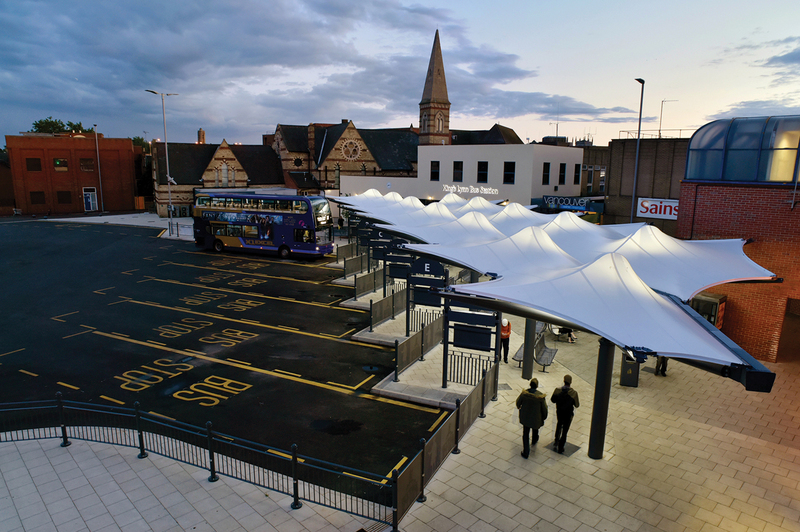 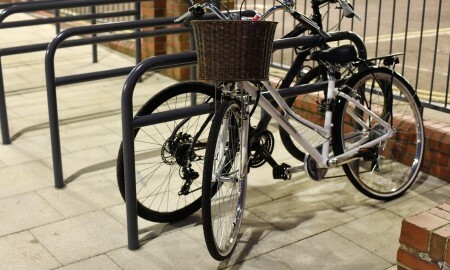 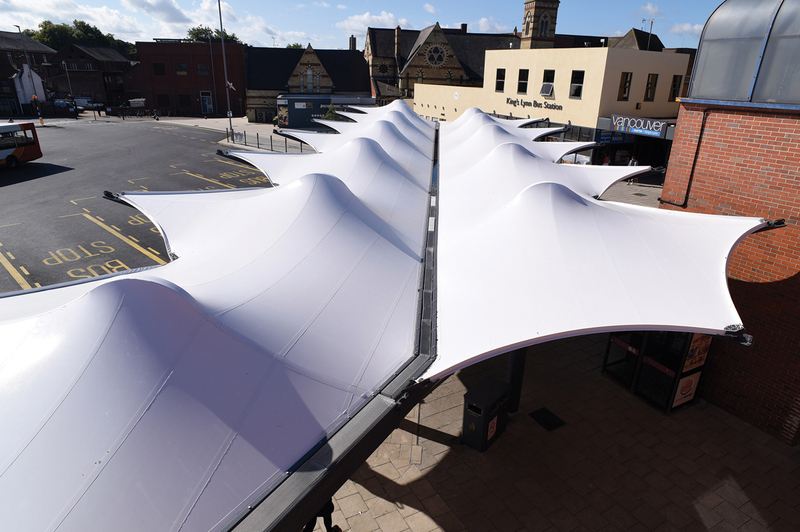 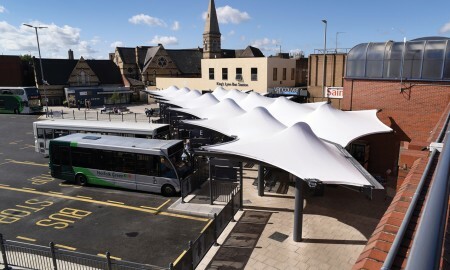 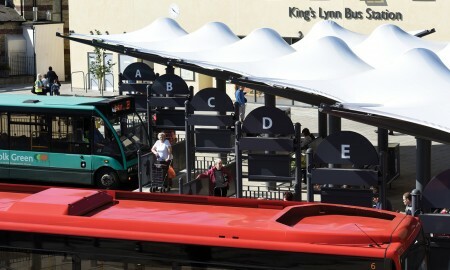 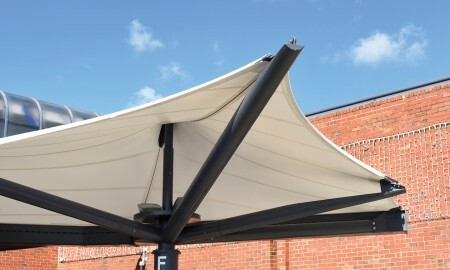 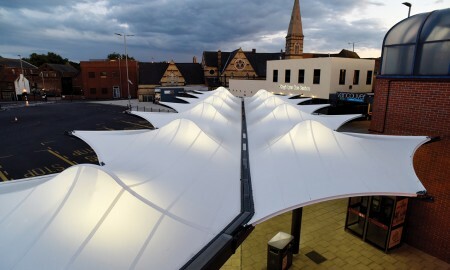 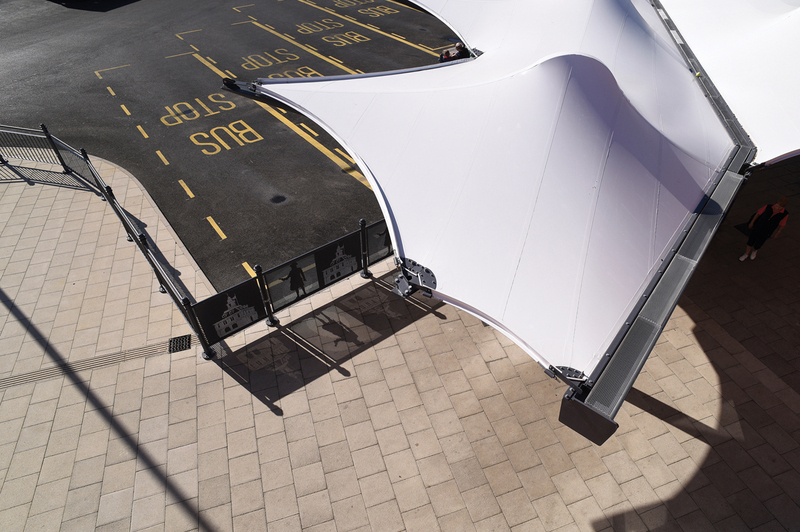 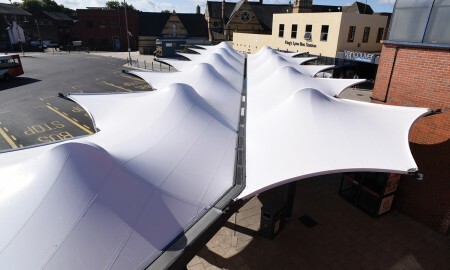 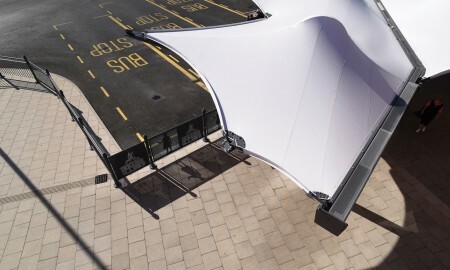 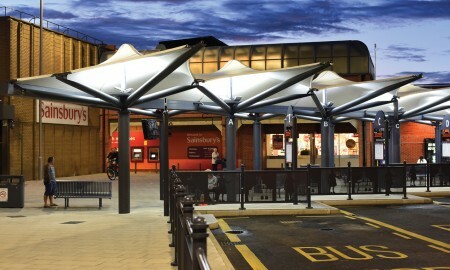 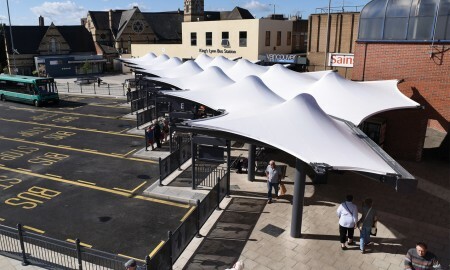 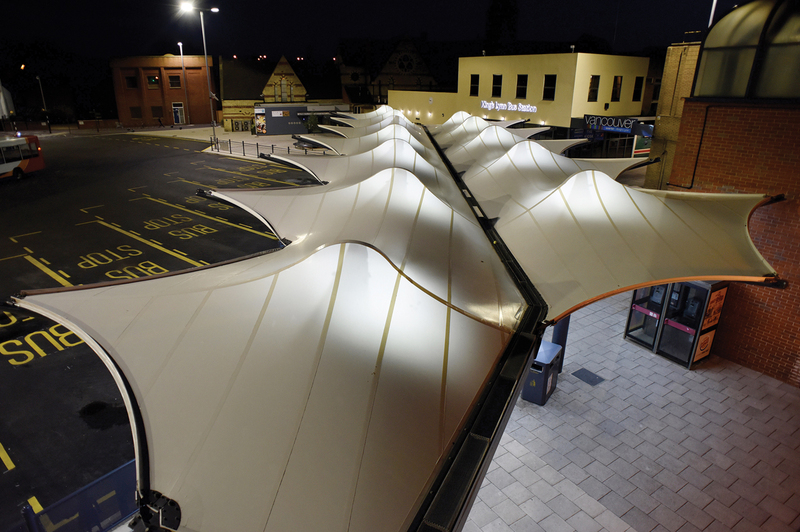 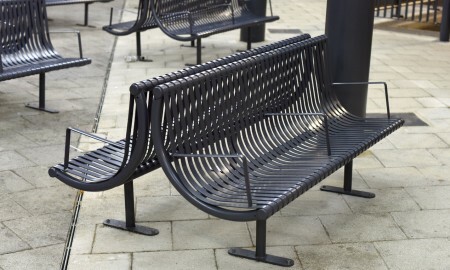 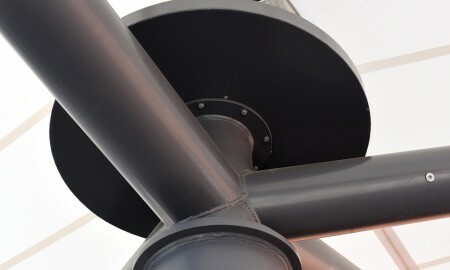 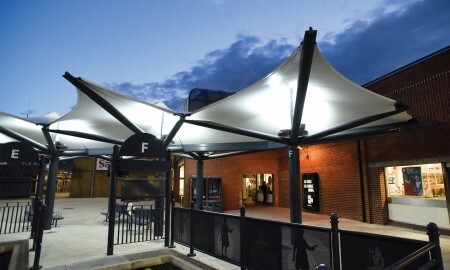 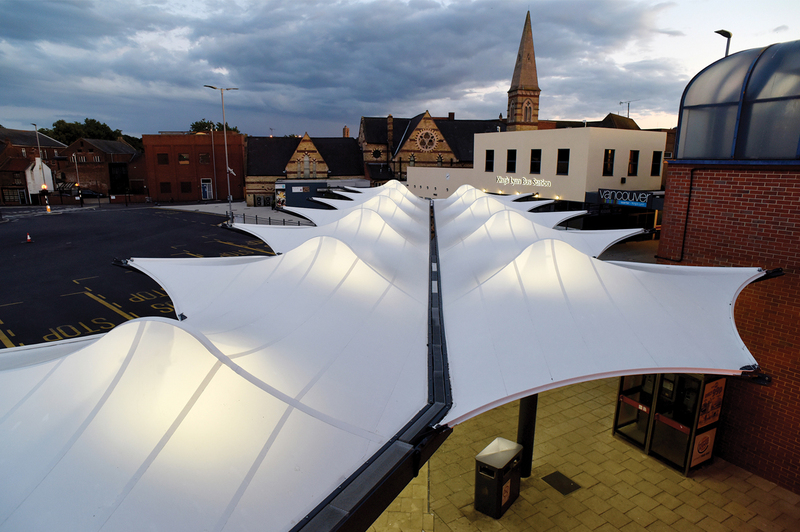 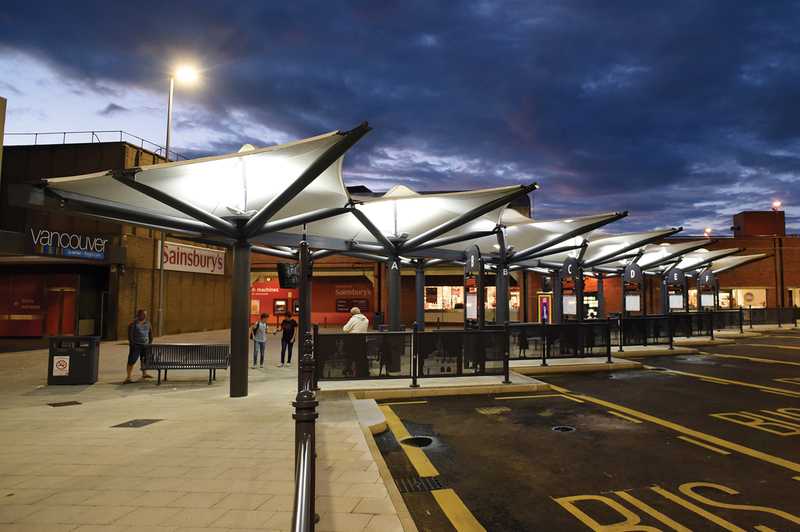 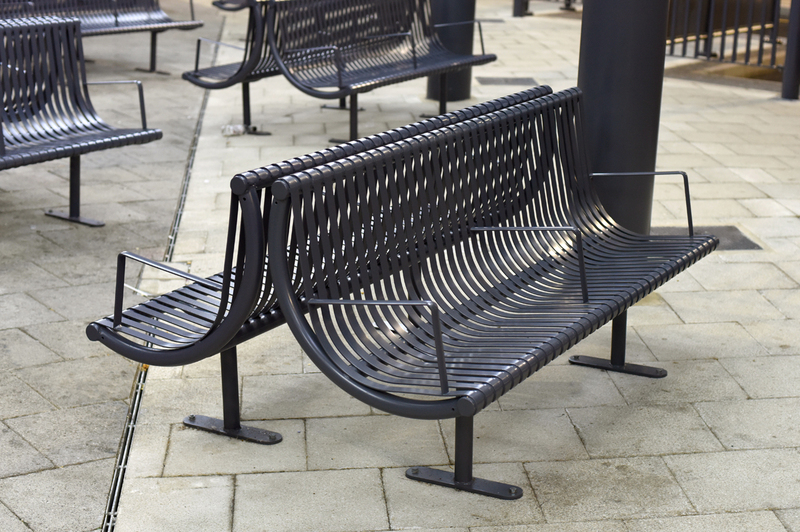 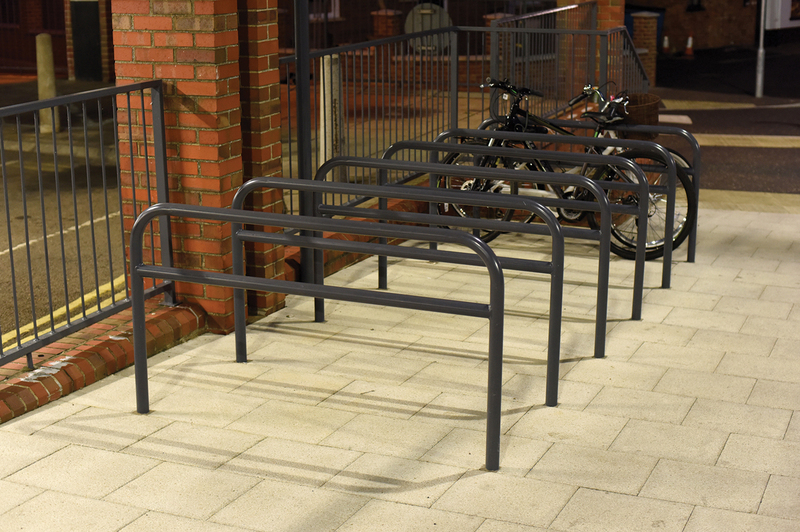 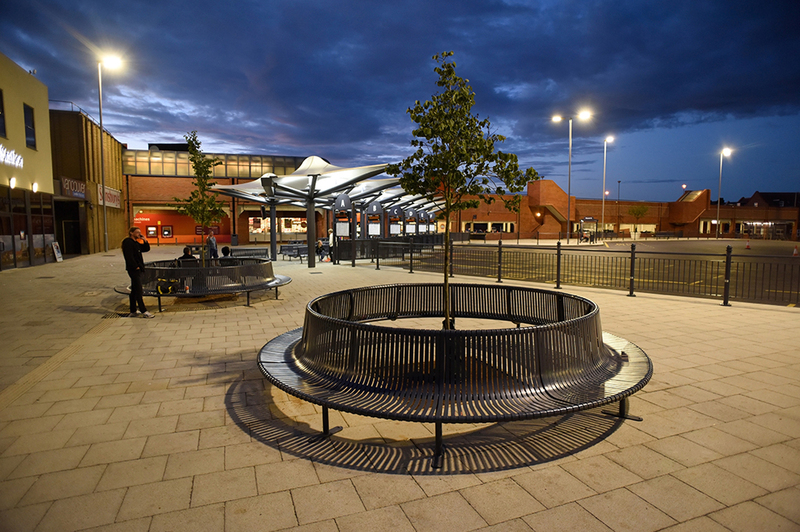 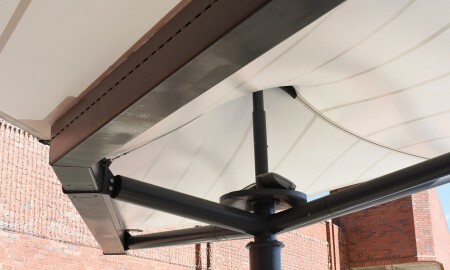 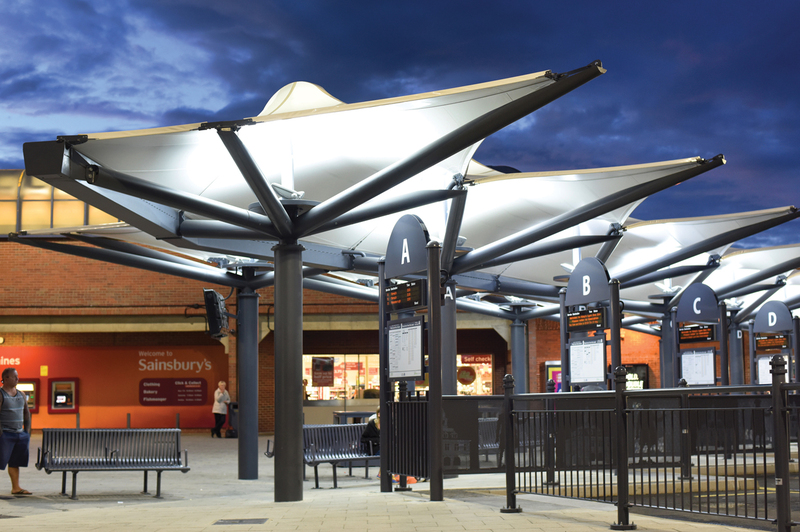 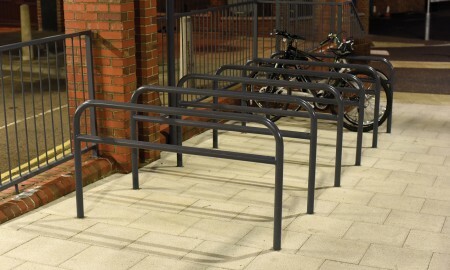 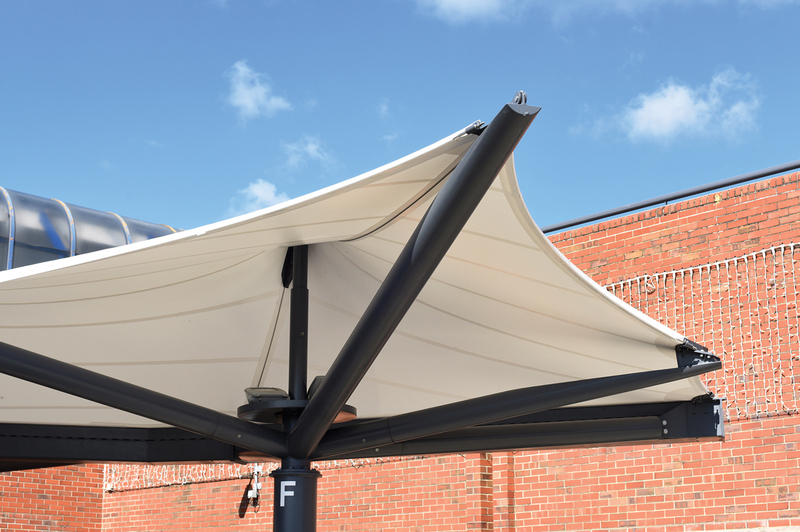 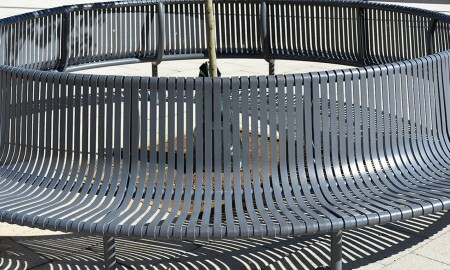 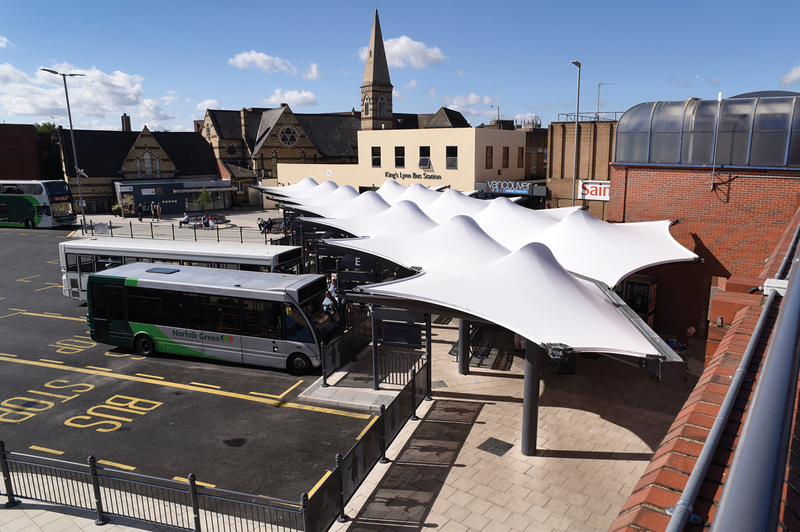 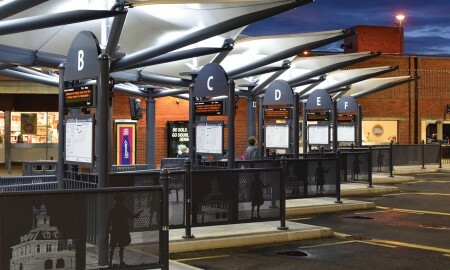 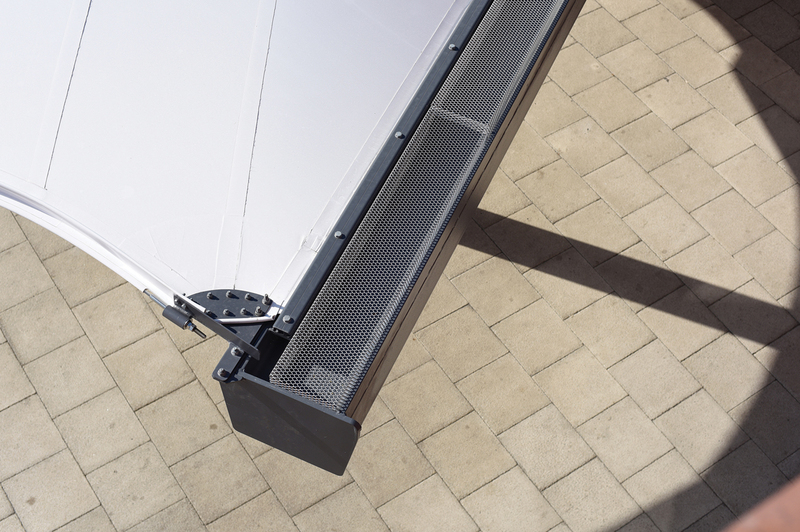 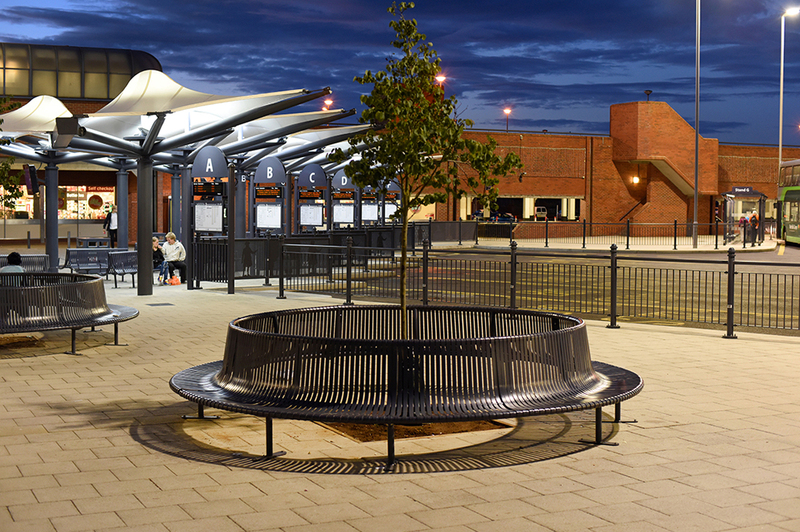 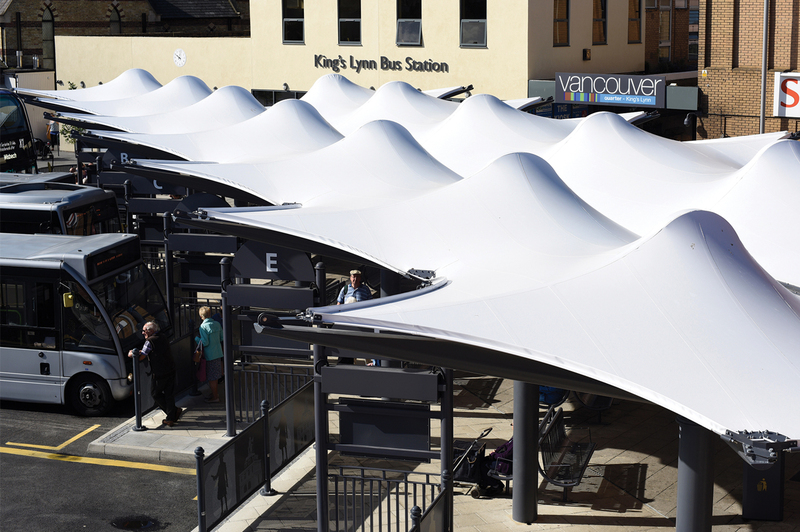 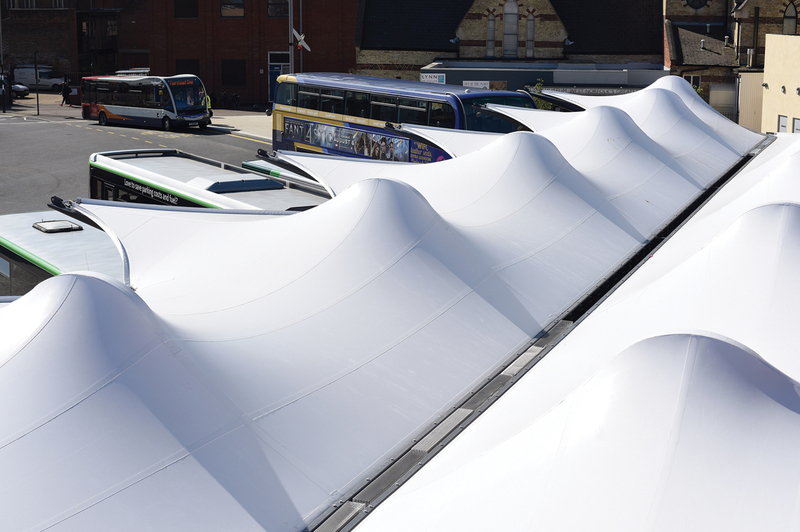 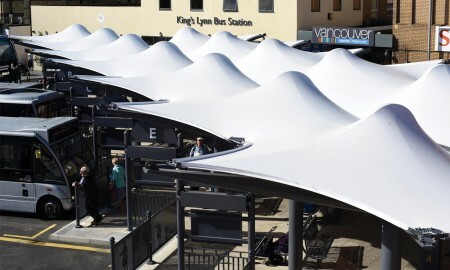 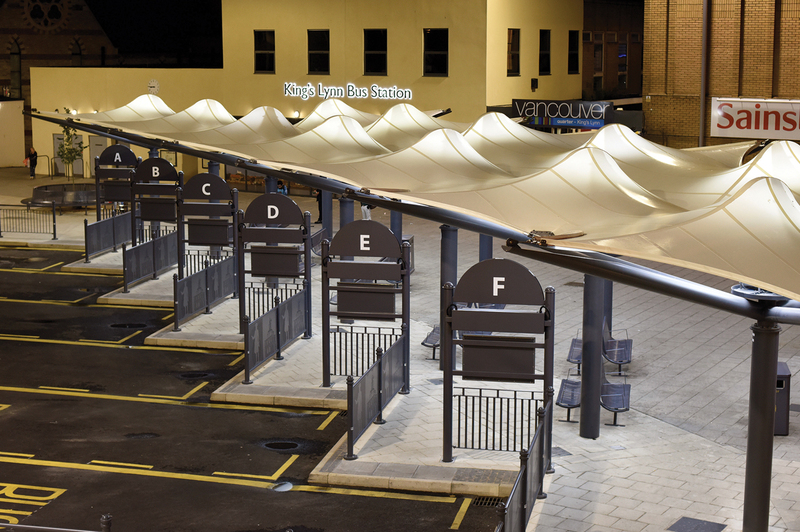 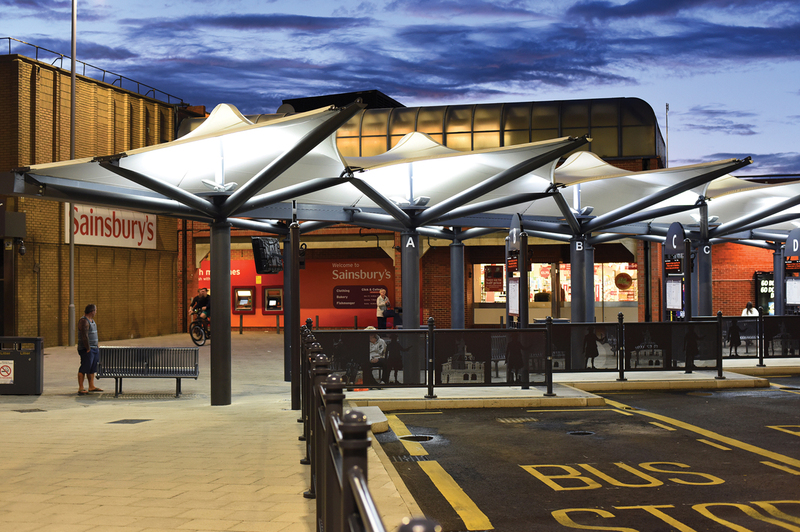 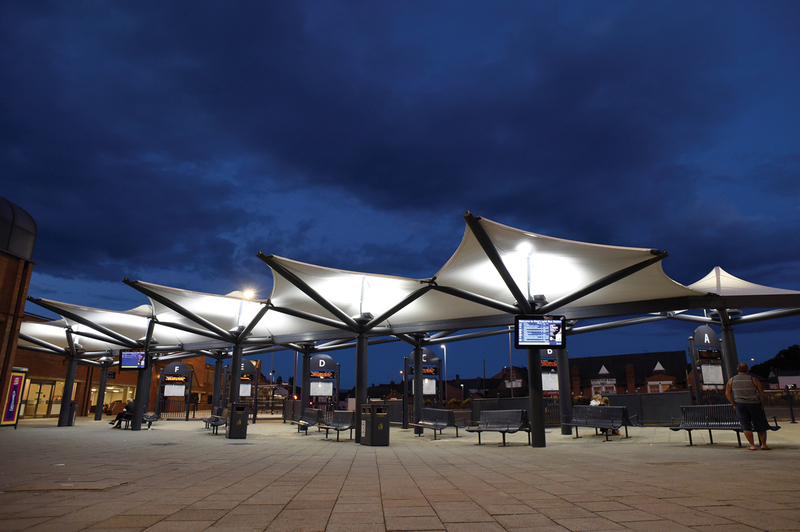 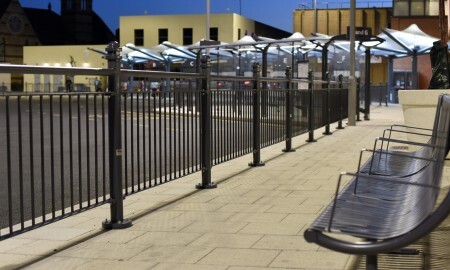 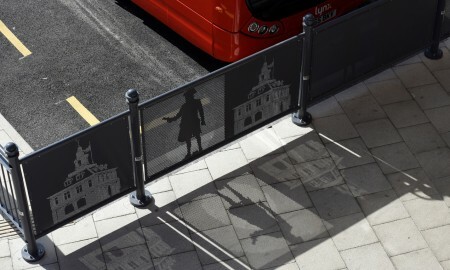 Broxap were commissioned to design, manufacture and install a canopy encompassing the client’s initial scope of design which required a fabric herringbone layout to cover the new bus station at Kings Lynn; with areas of barrier rail to segregate pedestrians and buses along with cycle parking provision and street furniture. 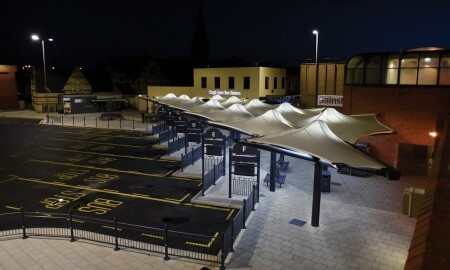 The overall design includes the existing taxi rank and central island between layout bays. 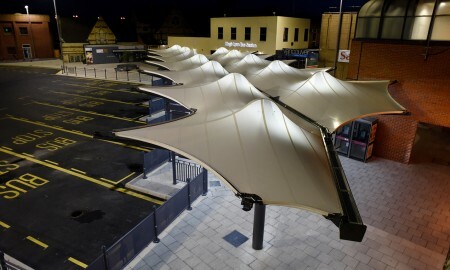 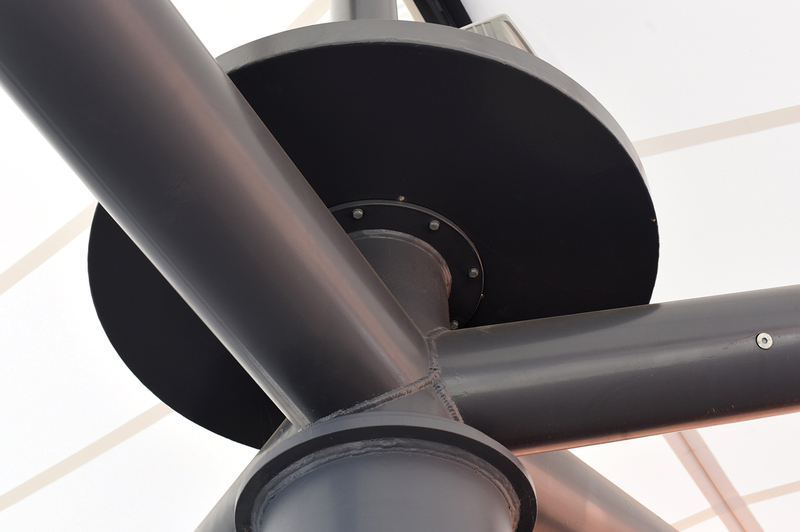 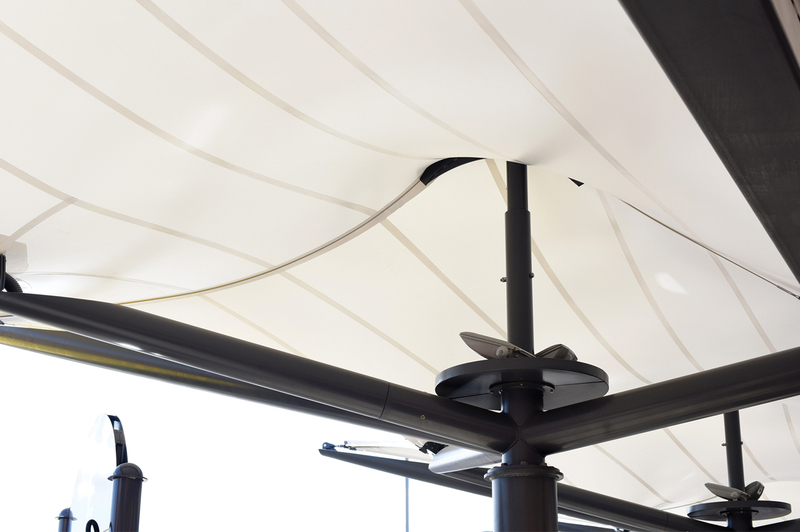 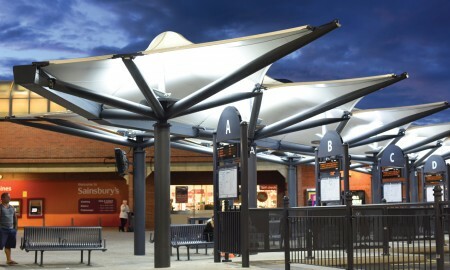 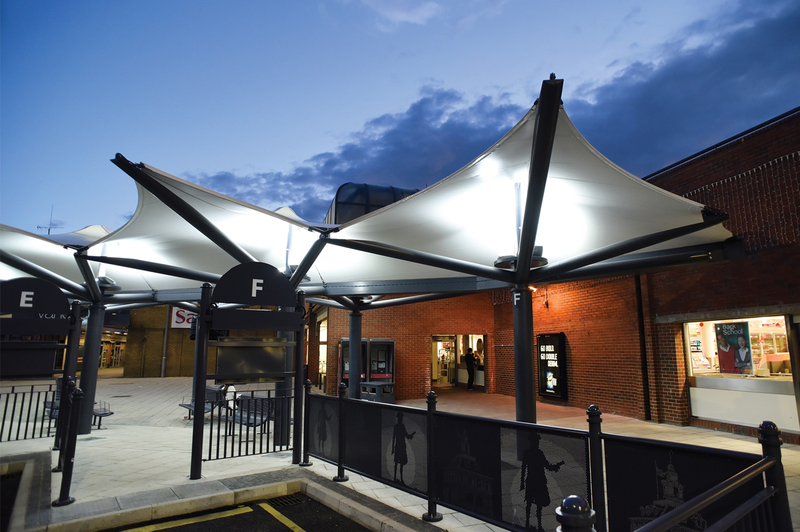 The main canopy design was to mimic a series of umbrellas, to which Broxap created a bespoke tensile structure complete with up lighters beneath the tensioned fabric structure. 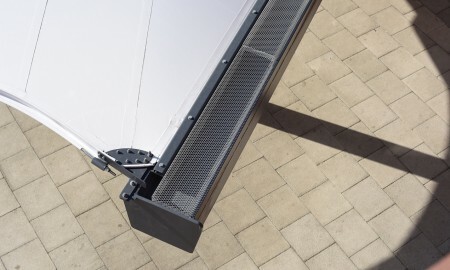 A central rainwater drainage channel runs through the middle part of the roof section to external drainage. 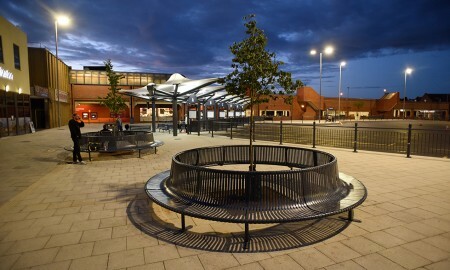 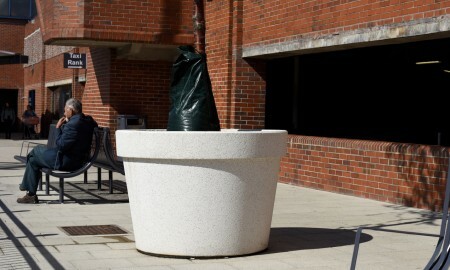 Weyburn seating and Derby litter bins, concrete planters along with extended Sheffield cycle stands facilitate passengers beneath and at the perimeter of the station. 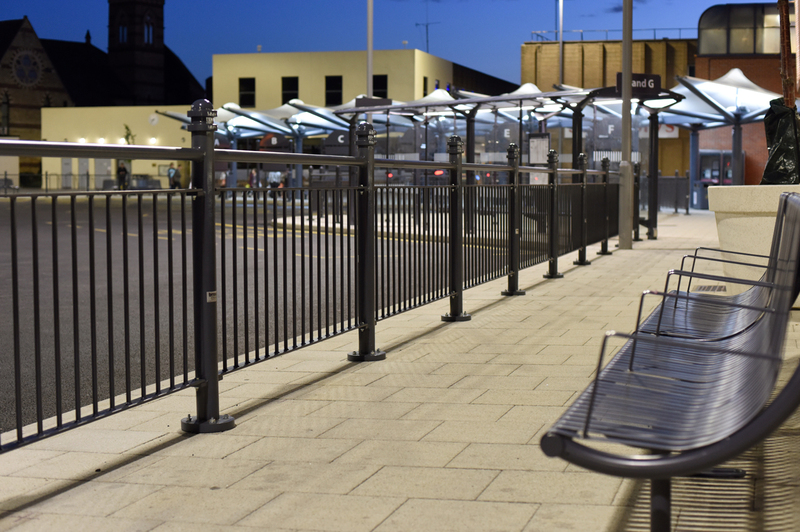 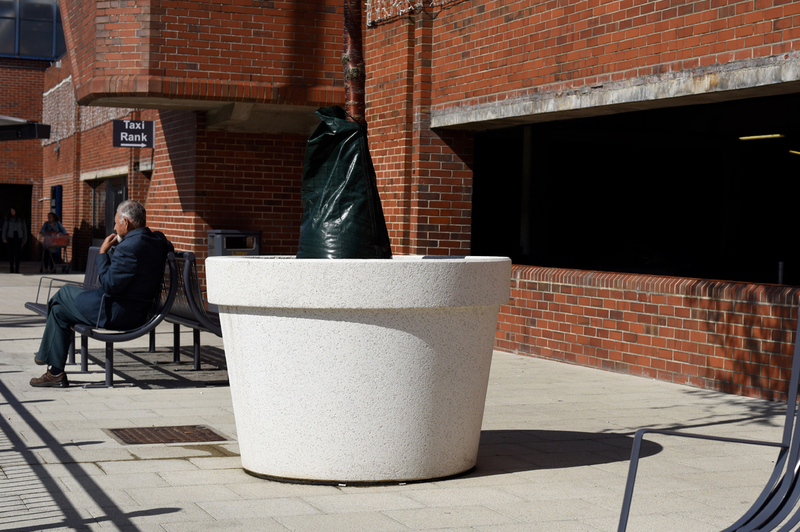 Cast iron spherical bollards provide a vehicle barrier at the end of the pedestrianised zone whilst bespoke post and rail with pictorial punched steel panels to certain sections complete the scheme. 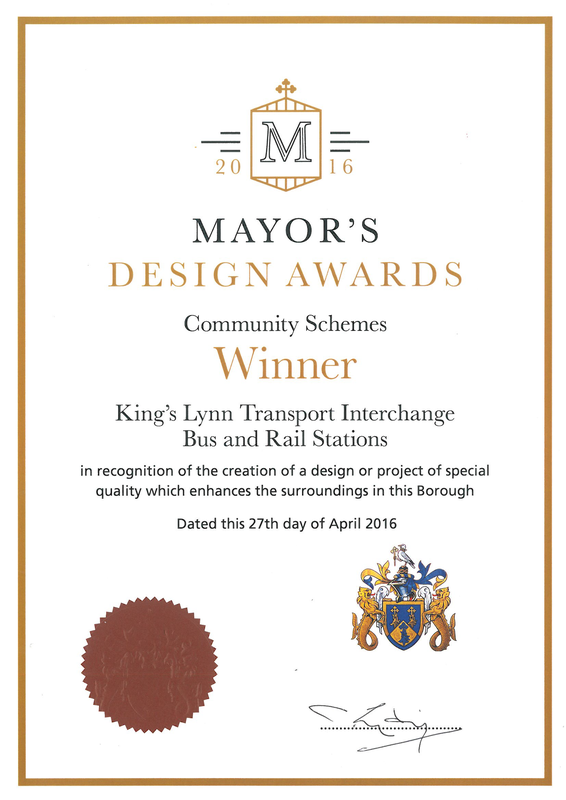 The scheme totalled a value of £245.000.00 and was awarded the Mayor’s Design Awards Community Schemes category in 2016.